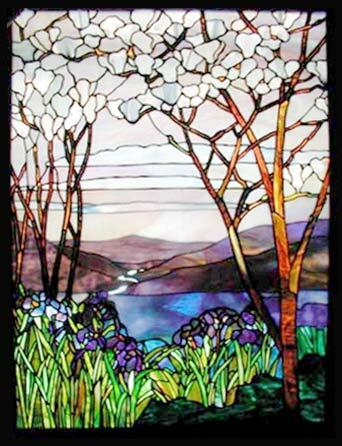 Tiffany Memorial Window Reproduction Stained Glass Window. 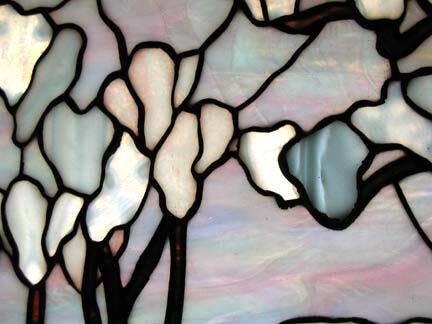 "MAGNOLIAS" AND IRISES STAINED GLASS REPRODUCTION OF TIFFANY MEMORIAL WINDOW. Jack McCoy© created this stained glass window which has multiple layers and was constructed using the copper foil method. 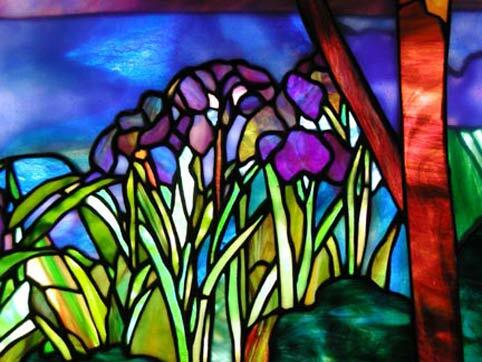 The dimensions of this stained glass window were 36" x 24".